A two-year Oklahoma State University study shows the impact of losing body condition in the period from calving to the start of the breeding season. This study was conducted with spring-calving cows, but the “lesson-learned” applies to fall calving cows as well. Seventy-five cows in year 1 and seventy cows in year two were randomly allotted to LOSE body condition from calving (beginning February 11) until mid April or MAINTAIN body condition during the same time frame. 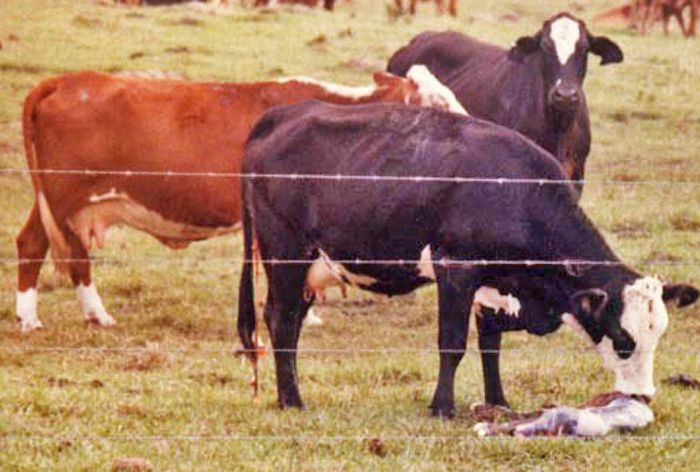 Cows were exposed to fertile bulls for 90 days each year starting May 1. Pregnancy rate was determined at 70 days after the breeding season. Cows that were fed to maintain body condition from calving until the beginning of the breeding season averaged 94% pregnant, while those that calved in similar body condition but lost nearly one full condition score were 73% rebred. The body condition that was maintained throughout late pregnancy until calving time must be maintained until rebreeding to accomplish high rebreeding rates. By studying the nutrient requirement tables for lactating beef cows, we can learn that an 1,100 pound cow needs about 2.5 pounds of crude protein per day. She should receive approximately 1 pound of protein from the standing grass and/or grass hay she consumes free choice. Therefore we need to provide 1.5 pounds of protein via supplements. If we are feeding a high protein cube such as a 40% protein supplement, she will need about 3.75 pounds of supplement daily. If the supplement is a 30% supplement then 5 pounds per day will be needed. Maintaining the body condition through the breeding season should be rewarded with a high percentage calf crop the following year.